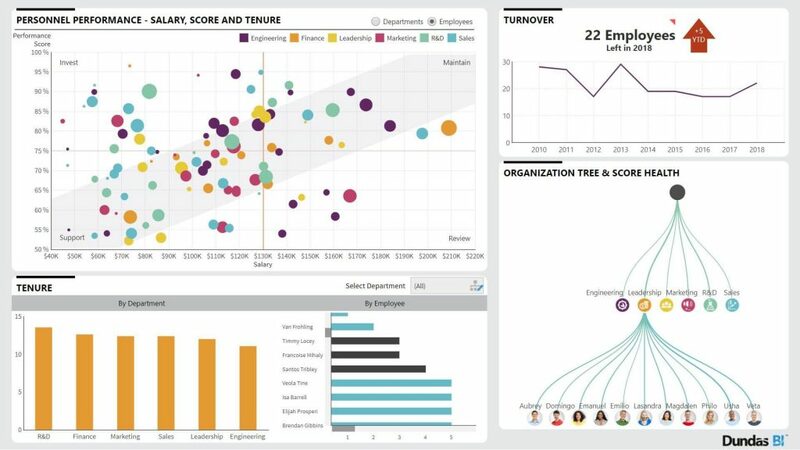 Dundas BI was launched in 2014 as a full-featured BI platform that supports dashboards, ad hoc reporting, operational reporting, self-service BI and data discovery among other things. Dundas BI replaced the company’s prior flagship product, Dashboard, with a more comprehensive, end-to-end BI product. Dundas takes great care of its community and actively listens to requests when developing new features. Research and development plays a big role with about 40 percent of all employees working in this area. Dundas BI Platform is a modern and integrated full-stack BI platform with core strengths in data visualization, operational dashboards and embedded analytics. 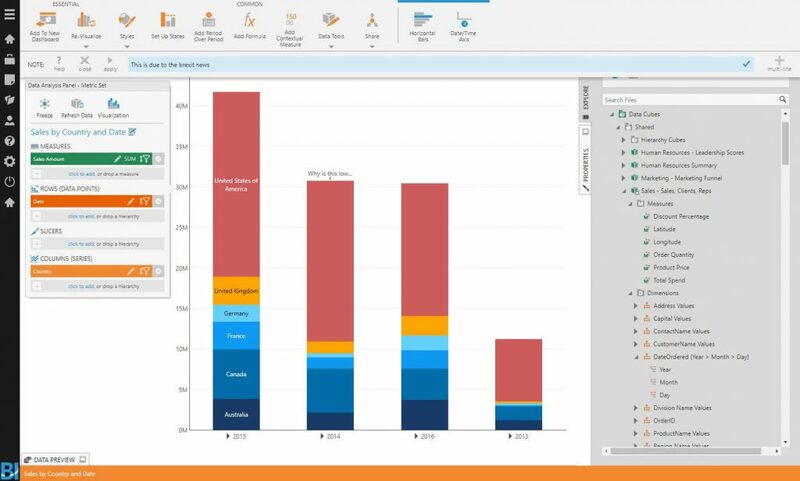 With its clean, modern and responsive graphical interface, business users can integrate, prepare, visualize and share data as well as navigate through prebuilt BI applications provided by IT. 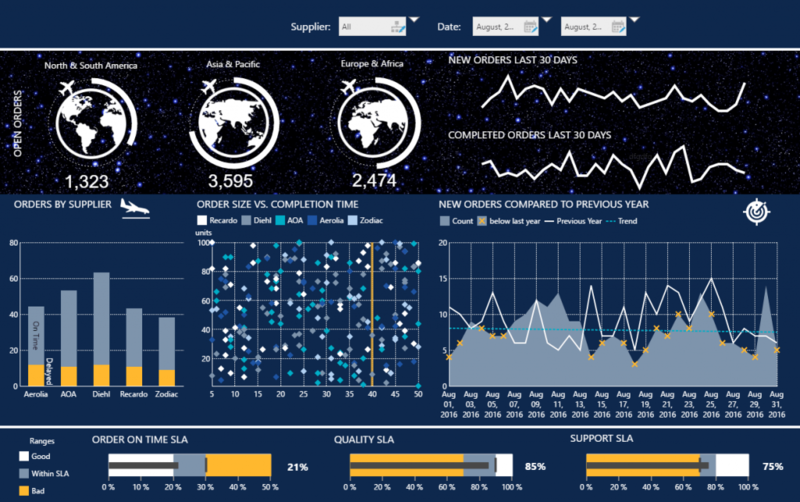 Dundas BI enables data discovery and development of highly customized dashboards, embedded BI applications and operational reports. 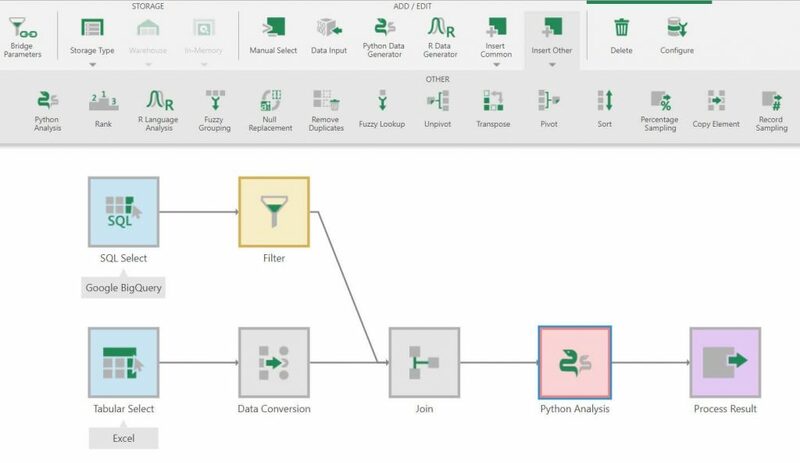 Dundas BI is developed in a client/server architecture and offers various possibilities for data connectivity. By default, data is accessed directly. Dundas can also store data in its proprietary in-memory engine or in the Dundas BI data warehouse if needed. Since version 5, the data warehouse can be built on PostgreSQL in addition to Microsoft SQL Server. The data warehouse is also used to store metadata. All Dundas BI functions are delivered via a modern web-based interface using a responsive HTML5 application for all user types (administrators, developers, power users and standard users). There are no additional clients to be installed locally, making it an excellent choice for cloud deployments or embedded use. Dundas BI includes sophisticated administration capabilities for tracking usage, monitoring system performance and specifying data access rights. The features bring efficiency to implementing governance on large user deployments by allowing content publishing between multiple projects or application instances. Administrators can configure application properties through a central console to simplify configuration, security and license management. 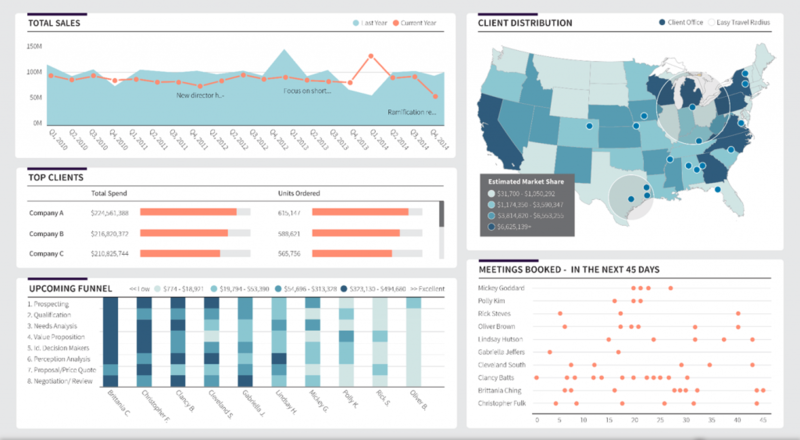 Dashboards and scorecards comprise Dundas’ dominant use case, followed by standard reporting, revealing the vendor’s origins as a provider of dashboard solutions. The application of advanced analytics functions remains low in Dundas installations. Although the most popular user task is ‘View’, surveyed customers report that 67 percent of users ‘Explore/Analyze’ data with Dundas BI. Dundas’ median number of users per customer site is below average. The product’s prime audience consists of mid-sized (53 percent) and small (27 percent) companies. We also see some traction among large organizations (20 percent). Dundas offers the ability to support large numbers of users, with 21 percent of respondents citing this as a reason for choosing the product. With strengths in operational dashboards and embedded solutions, we expect Dundas to continue serving companies of all sizes with its BI platform. Dundas BI is perceived as the most flexible data discovery-focused product by survey respondents and is a leader in all its other peer groups. It effectively delivers tailor-made analytical solutions to provide users with a highly flexible but guided environment. This approach allows them to dive into data that is served on a silver plate. 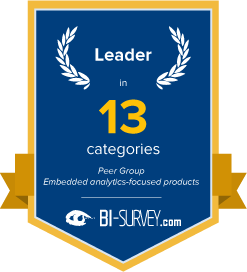 In this year’s survey, Dundas features in four peer groups: ‘Data discovery-focused products’, ‘Embedded analytics-focused products’, ‘Dashboarding-focused products’ and ‘Americas-focused vendors’. Dundas achieves further excellent results for ‘Implementer support’ and ‘Price-to-value’, leading to high ‘Customer satisfaction’ and ‘Recommendation’ rates. Dundas is one of the vendors with the most reliable and stable products. Implementations seem to operate smoothly and reliably, with 66 percent of customers claiming to have ‘no significant problems’ and not a single respondent classing it as ‘unreliable software’ in The BI Survey 18, which is even more impressive when comparing how long it has been in the BI market to other established vendors. Finally, Dundas receives above average feedback in two of its focus areas – ‘Embedded BI’ and ‘Operational BI’ – by providing a range of features, from white-labeling of its software to sophisticated direct access to monitor daily business (as well as cached access). BARC’s Vendor Performance Summary contains an overview of The BI Survey results based on feedback from Dundas BI users, accompanied by expert analyst commentary. I am extremely impressed with Dundas. We have yet to find anything we can‘t do in it. We are impressed with the quality of the software, the timeliness of their support responses, and the professionalism of their whole organization. They know that you need to succeed and they help you every step of the way. An amazing web application. Helps our company visualize the large amounts of data we collect and easily shows performance, where we can improve and just in general helps many departments make better business decisions. We have been very happy at every stage of our implementation and use of Dundas BI and find the value / cost ratio very high. We have required very little assistance from the in-house team that handles implementation and security, which was essential for us. Early adopters have found the app intuitive and are requesting more of their data to be moved to Dundas, well ahead of our ability to fulfill their demands. 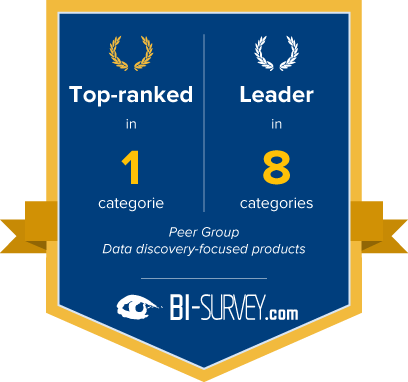 Dundas BI is perceived as the most flexible data discovery-focused product by survey respondents and is a leader in all its other peer groups. It effectively delivers tailor-made analytical solutions to provide users with a highly flexible but guided environment. Dundas achieves further excellent results for ‘Implementer support’ and ‘Price-to-value’, leading to high ‘Customer satisfaction’ and ‘Recommendation’ rates. Dundas is one of the vendors with the most reliable and stable products.